Will Snapchatters take the Gwen Stefani Challenge? Snapchat users can now take on other Snapchat users with Lens Challenges, a new feature that debuted on the messaging application Wednesday. 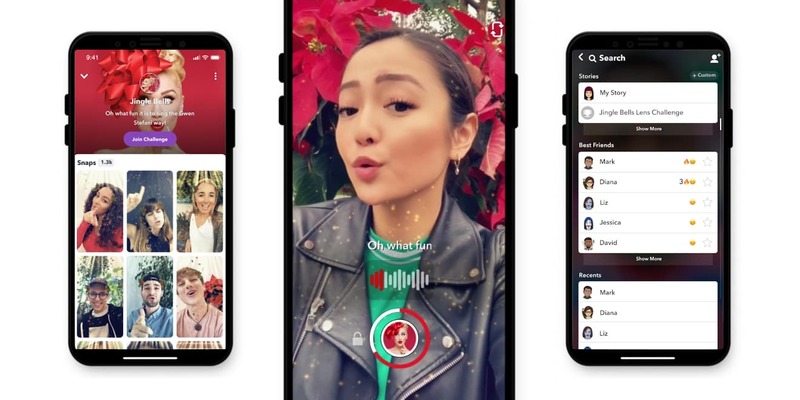 Lens Challenges invite people on Snapchat to create and send Snaps that use a Lens based on topics including songs, dances, holidays and events. With the Snapchat camera open, tap on your face to open the Lens Carousel. Tap the smiley icon to access Lens Explorer, or tap on the Gwen Stefani Challenge tile in Discover. Choose the Jingle Bells challenge at the top of the screen. Lip sync to the song and play around with the lens. Send your Snap to the Gwen Stefani Challenge Story for the change to be featured on the Snapchat app. Another Lens Challenge also debuted Wednesday: The “Disappear” Challenge, the first one created by Snapchat’s community. Jye Trudinger, who goes by Jinnie the Wew in the Snapchat Lens Creator community, created the challenge, which prompts people to take two photos that superimpose and cause the subject of the photos to disappear.